The IPTA is proud of our fascinating and influential members who are working hard towards advancing the physical therapy profession. IPTA’s 2017 Awards Ceremony was held in conjunction with this year’s REVITALIZE Conference. During which time, several members were recognized for their leadership, dedication and triumphs in physical therapy. 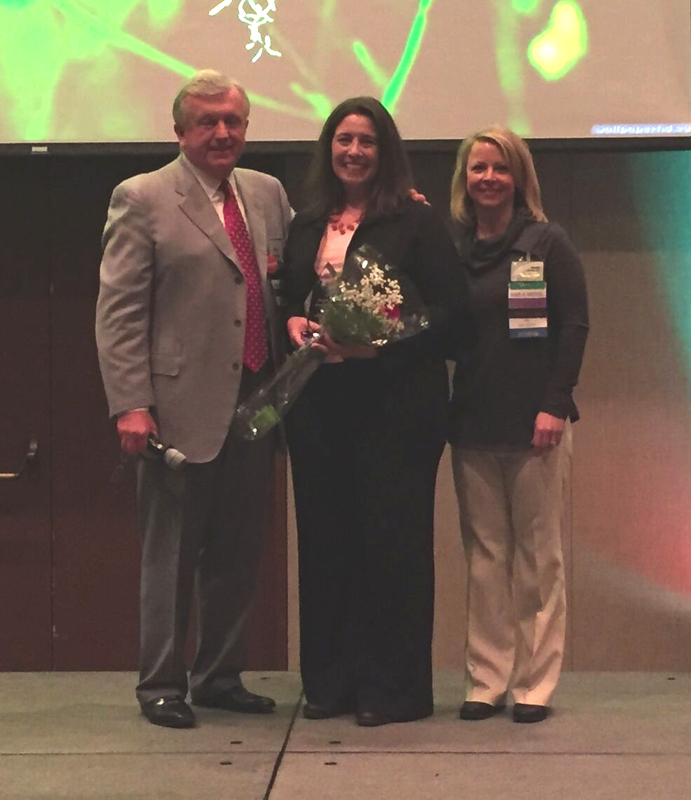 Julie Schwertfeger, PT, DPT took home the Babette Sanders Leadership & Service Award. 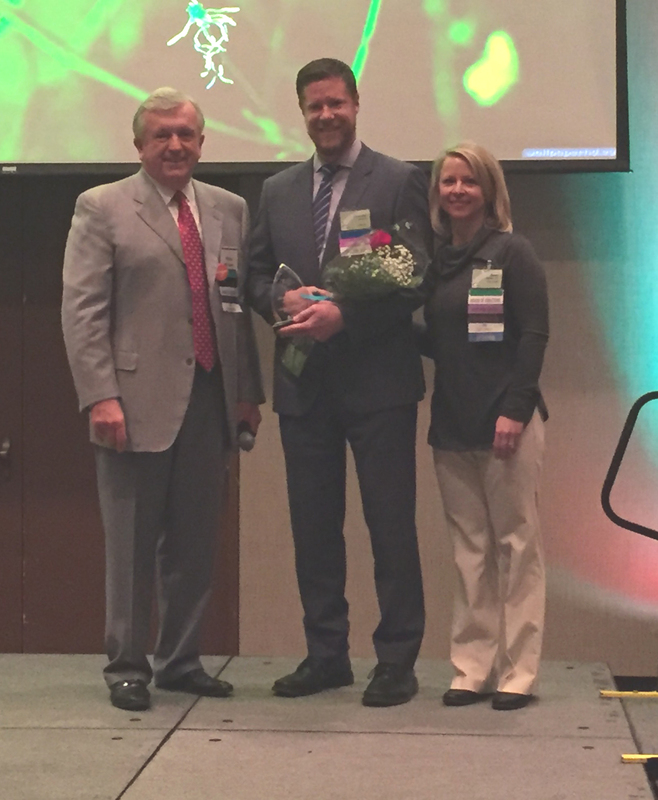 Christopher Meachem, PT, DPT, was awarded the Clinical Educators of the Year Award. 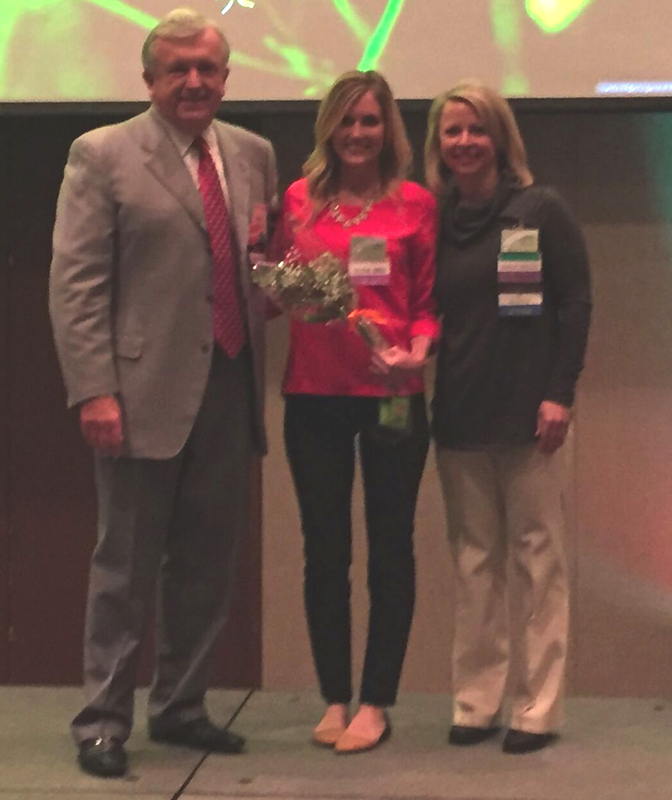 Emily Pisani, PT, DPT was the recipient of this year’s Emerging Leader Award. 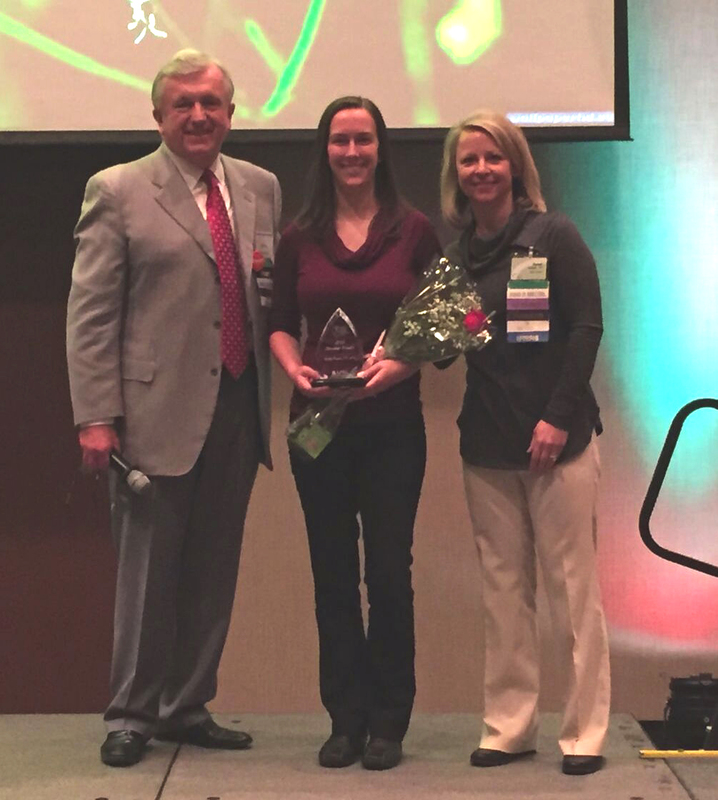 And Erin DeMarco, SPT was named this year’s Outstanding Physical Therapist Student. Looking forward, how do you predict our profession with change over the next 10 years? Schwertfeger: "Our profession continues to mature and evolve. Some trends over the past 20 years include clinical specialist board certification and clinician use of evidence in practice. These trajectories which were informed by healthcare policy and the marketplace while being strengthened through member involvement via our professional government process where the delegates charge to the APTA Board of Directors to steer time and resources on these initiatives. I was asked to forecast where our profession is headed in the next ten years. My answer is that there will be continued specialization and use of evidence in practice, and that clinical practice will continue, somewhat paradoxically, to allow for great variation of focus and practice modalities. This is an exciting time in healthcare as much as it is tumultuous. Wellness, provider business structures payment models, and new scientific breakthroughs due to imaging and clinical research advances all coalesce to make this an inspiring time of change and innovation. I’ll never forget my student experience in PT school nor Jules Rothstein’s exemplar story of the patient who had a goal of putting on his cufflinks, which emphasized patient specificity in our goal setting along with the charge to develop our evidence for treatment effectiveness through clinical research. These issues are just as relevant today, and much progress toward this is being made. My hope for our profession as I continue to be inspired by the great practitioners and researchers as well as student PTs in Illinois and across our nation, is that physical therapists lead and collaborate across stakeholder groups that include patients and policymakers. Effective and efficient care demands our voice at the table, and our abilities and perspectives in building a better healthcare system for the future. " Meachem: "We are at a tipping point and the next decade will be full of opportunity and change – in the clinic and classroom. I believe that we are at risk of ‘sustained mediocrity’ if clinical education does not evolve to be consistent with that of a doctor level profession. In the classroom, each school does it differently regarding mandated time in the clinic. While this system has gotten us this far – we need to change. A standardized structure would benefit the profession by allowing us to identify and fix inefficiencies and training deficits with greater ease, as well as create a standardized curriculum to be used by clinical instructors. In addition, schools rely on clinics to take their students and educate them. Something I have done because it is a way of giving back. However, with the clinical education hours required by the Commission on Accreditation in Physical Therapy Education (CAPTE) competing with clinicians needing to contain healthcare costs for Americans, it creates a strain on the clinics. An economically sustainable model in which students add value to the clinic is needed in order to maintain an adequate supply of quality clinical sites. In the classroom and clinic, we have to get students and therapists excited about training future practitioners. Incentives, including ongoing training and Association support is needed. In addition, clinics should consider alternative models for taking on more students. For example, we are piloting a collaborative model, that includes stepwise mentoring where four students work with one clinical instructor. Tipping points can feel scary because we don’t know what lies on the other side. Making decisions in the ambiguity of the unknown can also be difficult and scary. I believe the next 10 years will demonstrate that our profession has the courage to make these decisions and tackle difficult challenges for the betterment of our profession and ultimately the care we provide to our patients." Pisani: "I'm beyond excited to see the changes heading our way in the next ten years. With our shift towards wellness and prevention rather than just rehab and recovery we have the opportunity to be the first in line to provide for our patients. I expect we will no longer have patients come in and out the door once but rather we will become much like a primary physician that they check in with yearly. This will give us a better, more in depth ability to care for our patients because of the greater exposure to their lives. And looking even deeper with advances in technology I anticipate such great strides with telehealth as a means of outreach to a population we haven't been able to support. It will even push us as clinicians in terms of our communication and creativity skills to educate our community. This is an exciting time to be involved in such an amazing profession and I can't wait to see these changes come to fruition!" DeMarco: "Our profession is constantly changing so it’s challenging, yet exciting to think about where our field may be in 10 years. If I’m being totally honest, I have no clue how the profession will transform by 2027, however I can be optimistic and share how I hope it will progress. First, I hope that collaborative care (between PTs with doctors, pharmacists, nurses, occupational therapists, psychologists, patients, etc.) will be more transparent, exhibit successful communication, and deliver well-rounded care for patients. I hope that continuing education courses and specializations continue to soar allowing physical therapists to improve their knowledge while implementing the latest evidence-based practice to provide the highest quality of care to patients of all diagnoses and presentations. I hope that more and more physical therapists take a full-body, individualized treatment approach and remember that everything is connected and fixing the primary issue is essential. And lastly, I hope that Illinois (and all states) will have direct access to patients – not only to cut costs and wait-times for patients, but to finally bestow the trust in physical therapists that we deserve based off our education and understanding of physical presentations. While so many aspects surrounding the field of physical therapy are constantly changing, we as physical therapists must remember to keep our drive and passive to better those around us and we must continue to learn and contribute to our field so that we can get our patients healthier faster and have them stay healthier longer."